The Festival at the Falls celebrated the diverse heritage of greater Waterville with food and musical events. WATERVILLE — For those who attended the Festival at the Falls on Sunday, the usual French Canadian music and food was mixed with offerings from a variety of ethnic groups as part of a move to broaden the former Franco-American Family Festival into a multi-cultural celebration. Karen Rancourt-Thomas, president of the Franco-American Heritage Society of Kennebec Valley, which organizes the event, said that the longtime festival felt like it had outdone its role as an event just for celebrating Franco-Americans, who many years ago came to Waterville from Canada and settled in the South End. “It was time for a change. Also, it wasn’t just the Franco-Americans that settled this area,” she said. Tiffany Lopes, of the Beth Israel Congregation, said when she read in the news that the annual Franco-American Family Festival would be recreating itself as a multi-cultural event called the Festival at the Falls, she was eager to get involved. “I called her (Rancourt-Thomas) up and said ‘Can the Jews come?’ And she said ‘Yeah! The more the merrier,'” said Lopes, president of the board of directors for the congregation. The members of the Waterville synagogue were selling traditional Jewish cookies alongside a dozen other vendors amid performers and residents who attended the Festival at the Falls on Sunday afternoon. While traditional Franco-American food such as toutiere was available as usual, festival goers also sampled other wares such as Caribbean food from the KALE Project, which offers an exchange program with Caribbean island countries, and Lebanese dishes from St. Joseph Maronite Catholic Church. 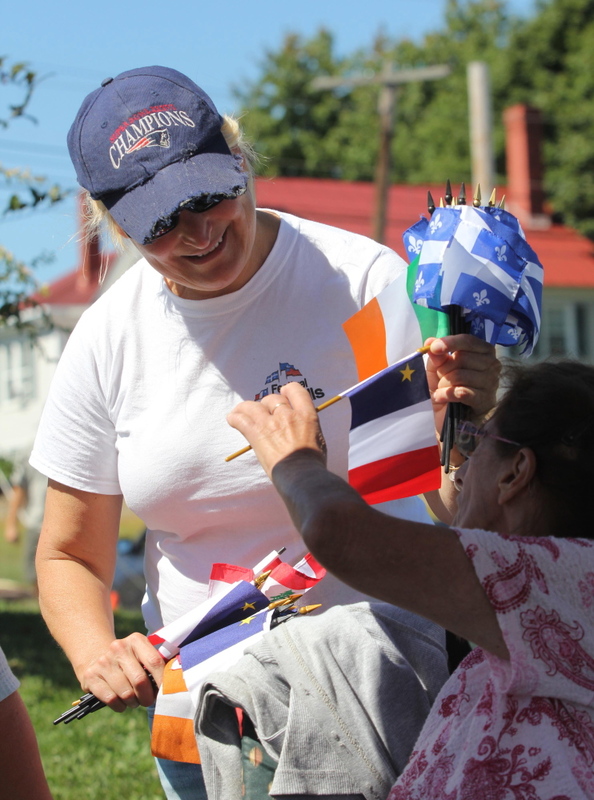 “Historically, the Lebanese and Jews were not always friends, so it’s great to be in Waterville and see everyone coming together for this event,” said Lopes. 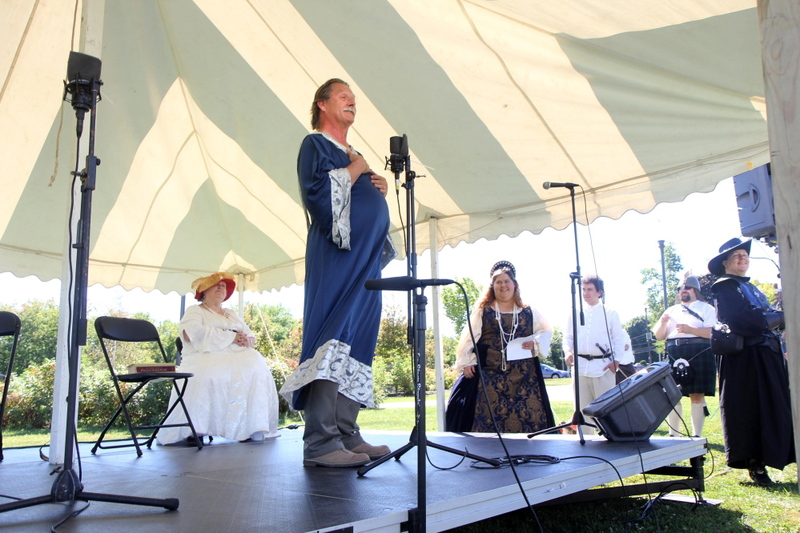 On the other side of the event, in full Renaissance garb, Emily Rowden Fournier said that she and her fellow members of the Recycled Shakespeare Company were excited to be a part of the day’s festivities. The newly formed theater group, based in Fairfield, performed at the festival, which Fournier said is part of the group’s mission of community engagement. “Part of our mission is to promote community theater and to be a part of community events like this,” she said. Rancourt-Thomas said the changes to the festival brought a new energy to the event that she hopes will continue to grow next year.